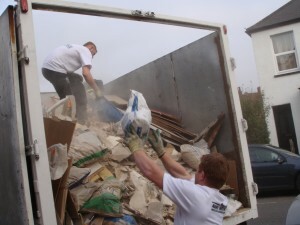 Do you need builders waste removal in Dagenham? Let’s face it. You have better things to do with your weekend than hiring a van and visiting the local tip (who doesn’t?) So why not let us take care of your DIY and builders waste? 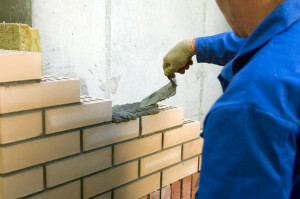 We provide builders waste removal Dagenham residents and construction companies trust for quality, convenience and affordability. We operate across the Dagenham area covering the RM8, RM9 and RM10 postcodes and can handle all kinds of DIY and builders waste, such as old bathroom and kitchen fittings, rubber and masonry, plaster, soil and cables and wiring. We can even do it on the same day! Working with us won’t just mean you’re doing your bit to get your front garden back, you’ll also be doing your bit for the environment too. Our friendly, two person teams work tirelessly to find a way to reuse or recycle 80% of the DIY and builders waste we collect. As we’re fully licenced waste carriers, you can also be confident that anything that can’t be put to use again will be properly disposed of too. Working across the Dagenham area seven days a week, from 7am till 11pm, using our services is easy. Just call us up, and we’ll give you a two hour timeslot to expect our visit. What’s more, we’ll stick to it too. 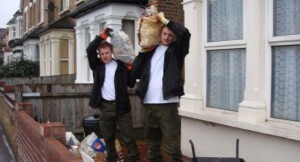 Then, an hour before we arrive, we call you with a free, no obligation estimate which will include all labour, transportation and disposal fees for our Dagenham DIY and builders waste disposal service. We’re confident you’ll like our prices because we only ever bill you for the space your waste takes up in our truck – meaning our prices are among the lowest around. As if that isn’t enough, we’re also no strangers to a dustpan and broom. If we ever need to move any DIY or builders waste through your home as part of the removal process, we’ll put down our own dust sheets and even give the place a good sweep before we get on our way. Want to find out more about how we can save you time, money and aggravation? Give us a ring on 0208 504 7390 or 07957 123019 to discuss your needs. Alternatively you can always use our form to get a quick and easy online quote.